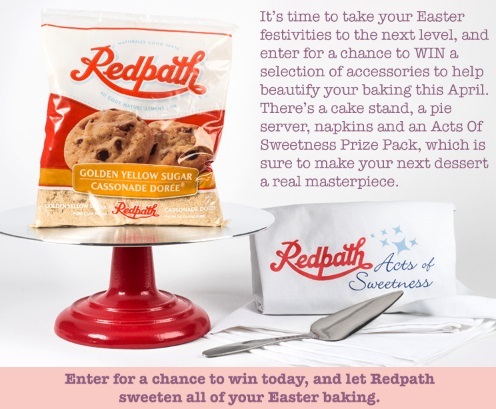 It's time to take your Easter festivities to the next level and enter for a chance to win a selection of accessories to help beautify your baking this April with Redpath! Enter to win a cake stand, a pie server, napkins and an Acts of Sweetness Prize Pack to make your next dessert a real masterpiece! Contest closes April 13, 2017 at 4pm ET. Excludes Quebec.